ID Card Workshop team today released a new version of ID Card Workshop. And together launched its affiliate and white-label reseller program, offering third parties the opportunity to earn paid commissions from each sale they refer to us. ID Card Workshop team believes its affiliate and reseller program is an effective way of building strong and long term business relationships with partners. 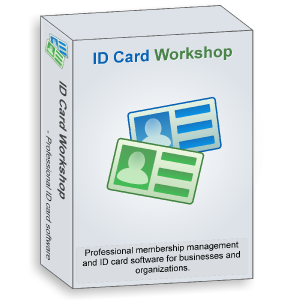 ID Card Workshop is an all-in-one id card making and membership management software, it enables users to create id cards, staff cards, membership cards by just few mouse-clicks and manage data of members or employees with its inbuilt database management features and verification features. For small business owners in the industry of restaurants, photo studios and clubs who want to create their in-house membership system, ID Card Workshop is definitely the best choice. ID Card Workshop can also helps employers, to create and maintain their employee system and visitor systems.